Sri Lanka have added Nishan Peiris to their squad for the third and final Test against England after Akila Dananjaya was reported for a suspect bowling action. Spinner Dananjaya took eight wickets in the second Test after being given 14 days to respond to the charge but is set to be assessed at the National Cricket Centre in Brisbane on Friday. The third Test gets under way in Colombo on Friday, with 21-year-old Peiris - previously a member of Sri Lanka's Under-19 and 'A' sides - included despite only having 12 first-class matches under his belt. Sri Lanka will hope his lack of experience is not an issue and that he can transfer some promising early form to the senior international stage, having taken 38 wickets at 29.52, including two five-wicket hauls. 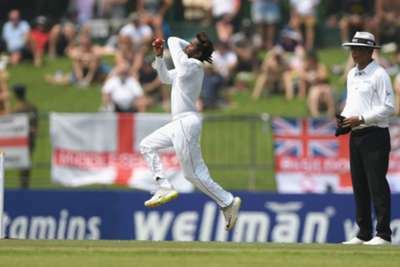 England have already won the series following victories in Galle and Pallekele.